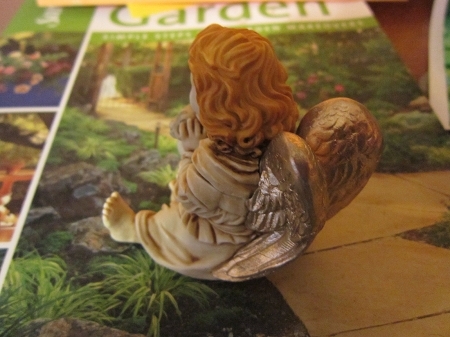 Adoree is a compani0on piece to the early David Lawrence angel "Chatelaine." 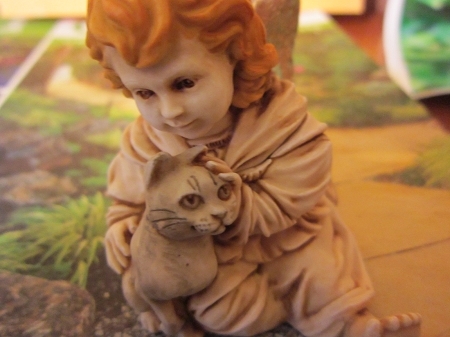 An adoring angel strokes a cat just plucked from the jaws of catastrophe. 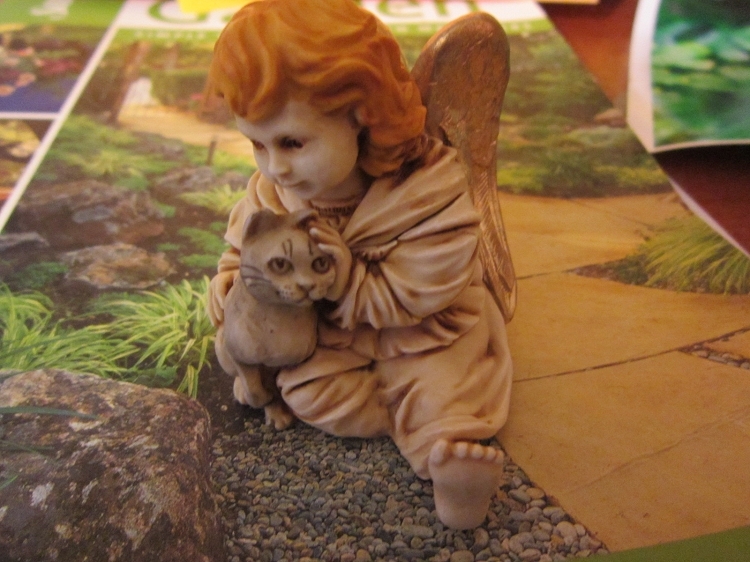 Guardian angels certainly care for all of God's creatures, and it stands to reason that cats are the most beloved of all. Why else do they have nine lives as opposed to the rather paltry one doled out to the rest of us? The cat may be dreaming of the angelfish found on the interior. The artist's signature acorn is hidden in the feather pattern of the wings.